When looking at the traditional running shoe, or almost any shoe that is customary in our society, one observation becomes common- the heel. What is the reason that shoes have heels? That is a very good question. The origin of the heel dates back to King Louis XIV of France in the 1660s which was used amongst regal to demonstrate power. It obviously has been passed on through the years in both fashion and normal anatomy to shoes, but is it needed? The running shoe has many origins, but many agree that athletic shoes began as a canvas top and rubber soled shoe that was referred to as a sneakers when U.S. Rubber used the brand name Keds to sell the first sneakers in 1917. The next major milestone comes in the 70’s when Bill Bowerman and Phil Knight created the Nike running shoe. These early shoes had little if any cushion and for the most part had a negligible heel. Over the next 40 years we have seen the height as well as the cushion gradually increase which inadvertently hassled many runners to adopt a “heel to toe” gait or “heel strike” when running. This height became referred to as “drop”- the distance in height between the heel of the shoe and the forefoot. Today traditional running shoes have a drop of 12 mm with the heel being 24 mm and the forefoot being 12 mm. This design encourages an unnatural gait resulting in the heel hitting the ground first, followed by a rapid “slapping” of the forefoot. The cushioning that running shoe manufactures incorporate into the heel leads the runner to “feel” as if the shock is being absorbed by the shoe with each step. While this is true, only a small amount is actually absorbed by the shoe, and the rest of the force (2-3 x the body weight) is actually being transferred through the lower extremity. This is confirmed by Newtons 3rd law and was demonstrated experimentally by Leiberman et al. (1) They were also able to demonstrate that by running barefoot, we tend to land more on our forefoot or midfoot to innately reduce the force that occurs to the leg. Try running barefoot and you will see that it is rather painful to land on your heel and that landing on the forefoot becomes much more comfortable. In order to do this properly, the forefoot needs to strike the ground first in the region of the 4th and 5th metatarsal with the heel slightly off the ground. The same force that was rapidly transmitted the heel, is now transferred to rotationally force as the heel lowers to the ground thereby astronomically reducing the force that occurs to the lower leg. Foot striking the ground with no heel. Forefoot lands first with rearfoot rotating to bring heel to ground, converting to rotational force. Foot striking ground with heel. The heel blocks the ability to allow rotational force conversion increasing the impact. It becomes very simple to see that when wearing a traditional running shoe, even if one lands on the forefoot, the high cushioned heel interferes with the ability to lower the rear foot to the ground. This prevents the rotational mechanism and therefore actually increases force to the forefoot. Barefoot at moment of impact demonstrating the approximate degree of angle before heel is lowered to ground. Foot in traditional running shoe depicting heel height. Even more fascinating, is what happens to our posture when we simply stand in a shoe with a heel. The clog by Dansko, which has become very popular among medically professionals, has an elevated heel which drastically changes normal anatomical posture increasing force to the lumbar area of the back (not to mention the 4 pound combined weight if the shoes!). Increase in posture when wearing a heel. Change in ankle joint to accommodate the heel height. Foot now resting in non anatomical position. Body’s position to become neutral. To summarize, the height of the heel that is present in the traditional running shoe, not only tricks the body into feeling that the force is being “cushioned” by shoe, but also interferes with the foots ability to naturally dissipate the force. 1. Lieberman DE, Venkadesan M, Werbel WA, Daoud AI, D’Andrea S, Davis IS, Mang’eni RO, Pitsiladis Y. Foot strike patterns and collision forces in habitually barefoot versus shod runners. Nature. 2010 Jan 28;463(7280):531-5. Is there scientific data to prove heel striking? RFS groups. No significant difference between groups (p-value > 0.05). Table 2: Mean (SD) of the internal axial contact forces and rate of loading (ROL) at the ankle, knee, and hip during FFS and RFS running. * = significantly different between converted and habitual RFS; † = significantly different between habitual and converted FFS (p0.5). So, what type of running shoe would you recommend? The newer barefoot shoes? I am just beginning a walking program and plan on running a half marathon in November. I have 2 fairly new pair of “running shoes”? that should be fine for now but was concerned about what to wear later on. Now I’m even more concerned. I’m sure if/when I go to be “fitted” at the shoe store that they will recommend the “traditional” style of running shoe. I am 57 years old and would like to minimize my chances for injury. Thanks. Rather then focus on shoes, focus on form. New Balance offers some great information on running form at ww.goodformrunning.com. The New Balance Fresh foam is a good option for a light weight comfortable shoe that is flexible and has cushion. You should be able to flex or roll up the shoe and it should be soft with cushion. Above all, it should feel comfortable on your foot. If it’s uncomfortable but the salesperson says its the shoe you SHOULD be wearing, it’s probably not. The paradigm of fitting shoes based on arch type is no longer supported. Thanks!! What about when you wear the shoes that are flexible and rollup and they hurt your feet? That is what I am experiencing now. My heels and arch hurt very bad after trying to wear those shoes and I feel like I am at a loss. It depends on how gradually you transitioned. It takes months to be able to wear flexible shoes and function this way. You are basically training your feet and entire body to walk differently then it has for the past however many years you have been alive and walking and wearing shoes that are stiff and rigid with heels. I had this discussion today with a patient with plantar fasciitis. She as battled it for years and has failed orthotics and expensive running shoes as well as Dansko’s. She is now going to start a barefoot functioning program at home and at work. I encouraged her to wear FiveFingers to understand how it feels to function this way. If she does not want these shoes, she will try a minimalist shoe with a zero drop and minimal cushion. She is a teacher and we gave her a note to wear these to school. This is done at at the start of the day and she will resume traditional foot gear as the day goes on. 30 minutes a day and progress each week adding another 30 minutes. This should take several months to be able to wear them all day. I was watching children play yesterday and how they run…their backs are straight and their strides are short. They naturally run the 100-up way, or Walter George simply rediscovered how we ran naturally as kids. This harmonizes with what it’s being said here, that we should pay attention to running form, land on the balls of the feet rather than the heels, and shorter strides. Great stuff here – much obliged! Thank you for publish this. This is exactly why I founded Art of Running. My website will solon be translated into english. My company is in Sweden. Dr. Nick can you recommend a Natural Running coach in the Medina area? Medina Ohio? If your looking for a gait analysis and information on form I would advise you to see someone is stow. I did and they are great but it is such a long drive. Looking for a coach that will work on form, gait speed etc. You helped with my heel and I am starting over. Sorry! Can’t remember! I don’t know off the top of head but I have access to some. I’ll get back to you! Thanks! This questions is related more to the Danskos than to running. I am a teacher and on my feet all day. I had a lot of back pain and was wearing a good pair of flats. I was getting to the point where I was having problems sleeping. Then I started wearing my Danskos and noticed the pain subsided. I am very careful with posture. I make a point to plumb and distribute my weight evenly. Is wearing these shoes really as terrible as you say? What alternatives are there for professionals that cant go barefoot all day? There are a lot of options for shoes. If you are feeling better with your danskos, then I would suggest to continue wearing them. I like to make the statement that our feet were made to function without shoes. The point is that most shoes interfere with normal function and motion of the foot and ankle joints. A flat shot that is flexible and wide in the forefoot will allow the foot to function more anatomically normal. Remember it takes time for the body to adjust to this if you were used to being in other shoes. I have seen many patients who have heel pain and buy Danskos and then end up suffering from low back pain as a result of them. Just be cautious!! Good luck!! Great post, and I really appreciated the illustrations! I’m a Pilates instructor so I’m barefoot most of the time, but sometimes I need to wear shoes while I work when the weather (and the floor!) is cold. And obviously I stand all the time. Just to be sure, you recommend flat and wide shoes, right? No arch whatsoever? Thank you in advance! What are you thoughts on flip flops? I wear them all the time, but people always tell me they are really bad for my feet. Thanks so much! Flip flops get a bad rap. They are fine if you gradually get used to them. For example, if your foot was in a rigid motion control shoe all winter and then you jump right into a flip flop and wear it eight hours a day, you may develop some over use injuries such as plantar fasciitis. Try starting out slower. Also, if you take long strides and heel strike in them you could create injury. If your gait remains natural and soft and you don’t curl your toes to keep them on, you should be fine! I’m glad you mentioned flip flops, since here in Greece we wear them half a year every day! If you could just take the time and check these 2 out I’d be grateful, slight arch or no arch? I have a bunch of pairs of both and usually alternate between the two: what happens is, when I wear the arched ones for a while and then switch to the flat ones, the flats feel better, but then the opposite happens when I wear the flats for a while.. so I really can’t figure out which ones are better for my feet. I’d love to hear your opinion, it’d be really helpful. Thank you! I would stick to the flat ones. The ones with the arch in them will affect your ability to function in a normal anatomic position. In other words as your walking and your foot needs to pronate to absorb shock (which by the way is a normal motion) the padded arch could be forcing your foot the opposite way that is should be moving. Don’t think of it as a support. It’s basically restricting motion. Much like a sling on a shoulder would do or a brace on a knee. If its not injured, it doesn’t need braced. Thanks!! Awesome post! I have been trying out all kinds of shoes the past 2 years. I went from Brooks Ravenna, which I ran two marathons in and ended up with black and blue toes on my right foot, to Brooks Pureflow which felt fine, and I just ordered New Balance WX20v3, per recommendation of a strength coach. I have a whole tightness/injury history on the right side of my body from shoulder to foot and keep researching and begin told that it’s may be me feet and that also have mild pronation on my right foot. So with all the info out there on minimalist shoes, I’ve started slowly transferring to minimalist shoes, hence my WX20v3 order. I also have an appointment with a physical therapist who has a PhD in biomechanics, who may or may not prescribe orthotics depending on my evaluation. What really caught my eye in your post was the use of the Danskos. I just started a new waitressing job and bought a pair of Danskos. I read the answer you gave the previous reader, Anabel, and then the suggestion of New Balance Fresh foam shoes to Karen. So do you recommend I find a New Balance Fresh foam shoe that I can wear to work instead of Danskos? Absolutely. I always tell patients, if you wouldn’t run a marathon in them, don’t wear them to work in for 8 hours! That is if you have a choice. There is no evidence based literature to wear a Dansko. I have no idea how this shoe caught so much attention over the past 15-20 years. It’s a heavy block if wood with a high heel. No logic. Our body was not designed nor meant to be positioned this way. Keep me posted with your PT visit. I would advise perfecting form over using orthotics. Your body will adjust. Sounds like to me it’s training patterns and your fatiguing and spasming and caught in an injury cycle. Need to reset. Do some slow easy months with no speed workouts until your better. Use a heart rate monitor. 5 months back i get fascinated on BF running and bought merrell road glove shoes with 0 drop and 4mm cushion. By that time i also started preparetion to my first marathon and after 3 monhts (~ 500 km) i got horrible shin splints (left leg). it excluded me from training for 4 weeks and now i am getting back to run in my old high heel running shoes ( 25days to go for marathon). Look at Altra shoes. They’re all zero drop platforms with cushion options. and how does someone who’s been walking on these types of shoes all their life get affected when they switch to a lower drop say 4mm or even no drop whatsoever. I agree that getting back to the natural form of running/walking in a minimalistic shoe is beneficial overtime, but there needs to be a strict learning curve to get back to that point. otherwise physical therapists will be overwhelmed with injured feet. what say you? Yes, you need to transition slowly. Takes months. Sometimes I tell patients to go barefoot or wear a minimalist shoe 30 minutes a day, usually first thing, and increase each week. I’ve had some runners take a year to transition. They’re just ok. Problem is the deep heel cup and arch. Doesn’t let your foot feel the ground. They do have a rather flat drop though. The hard part is the high arch and support they provide. Id say if your wearing them out for an evening that’s fine but wouldn’t advise spending long amounts of time in them. Several years ago I had a pair on and wore them out in New Orelans walking around. This was when I initially transitioned to running in minimalist shoes and really stopped wearing dress shoes. Their weren’t as many options out then as there are now. I had to take them off and walk barefoot back to hotel. Killed my feet. I am curious, I very recently started running and have severe foot pain after even a small distance. I am wondering if it is the shoes and not the activity that is causing my discomfort. I am nearly flat-footed and tend to workout barefoot to avoid pain, but can’t run outside without shoes for obvious reasons. Would you suggest a particular type of shoe that might work for me, or would orthotics be something that could be necessary in my case? Tough to answer over email. I really focus on form, intensity and training patterns and not shoes or orthotics. You may want to try slowing down or walk running as you build mileage. Stick with a light weight cushioned and flexible shoe. Read more on my site regarding form and heart rage training. While I agree with most of what you said about taking a minimalist’s approach to running, I don’t agree with this statement. “The paradigm of fitting shoes based on arch type is no longer supported.” What about severe over-pronators? The forces being placed on the internally rotating tibia and all muscles that attach (tib ant and tib post mostly), as well as the valgus forces being placed on the calcaneus and knee are impossible to avoid if not for proper fitting footwear (ie. narrow and firm heel counter, medial heel flare, and a hard midsole). Not only do I study this subject in school, I am also living evidence. I’ve got pretty severe pes planus, and secondarily, from years of wearing improper footwear, now a laterally sub-luxing left sub tarsal joint (my calcaneus and talus become subluxed laterally with increased activity). When I wear improper fitting footwear or go barefoot for a while, my subtarsal joint locks up and I have to glide the bones back in place to eliminate pain from impinged nerves and arteries. The only way I am able to avoid lateral subluxation is to wear proper fitting footwear. I have a really high arch so I put arch supports in my shoe because otherwise my feet hurt. I have long toes so for the shoe to fit I get a ten but the arch in the shoe hits the wrong spot. I have tried so many different many types of shoes and only found some that are o.k. I also have a wide foot. Any recommendations? I don’t live in weather where I can wear flip flops all year. http://www.inov-8.com does a great job manufacturing fitness and running shoes with this philosophy. I used to wear Vibram Five Finger shoes, but my wife hated the look. Almost overnight they taught me to switch from heel strike running to a healthier mid-foot strike. I even felt sore in my abs because of how it forced me to have better posture and engage my core to control my gait. Inov-8s are more stylish & versatile, especially in bad weather, but allow similar ground feel, natural pronation, toe splay and zero drop. Under select fit, choose “Natural Fit.” Shoes are marked as Zero for zero drop, and upside down chevrons to indicate mm of additional drop. Each product number indicates grams of weight. 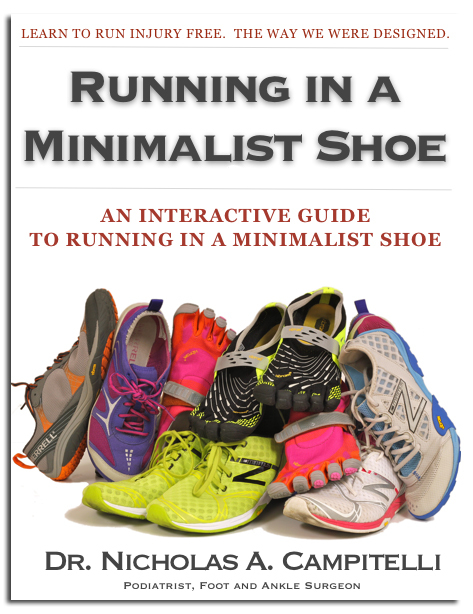 Minimalist shoes are generally the lightest. I enjoy the http://www.inov-8.com/New/Global/Product-View-BareXF-210-Forrest-Black-Red-Lime.html?L=27&A=Fitness&G=Male for CrossFit & road running, and the http://www.inov-8.com/New/Global/Product-View-Trailroc-150-Green-Lime.html?L=27&A=Trail&G=Male for trail running. I hiked a rocky 14’er in these with no problems or blisters! Ground feel will guide your strike as you become much more aware of your surroundings. Thanks for the comments Jim!! I have yet to try the inov-8 shoes but I know a lot of runners like them. One more thought, a mid-foot strike also allows a more natural forward lean during running which allows momentum to be carried through the gate in a much more efficient way with greater speed. In contrast, a heel strike in front of the body (all heel strikes are) acts as a stopping force against the forward momentum of the runner. What is your opinion on the “earth” shoe that has a forefoot higher than the heel. I bought a pair in the late 90’s and only wore them a couple of times. They did feel good while I was wearing them, and I could breath better, but I guess I never got used to them. I am also curious to know what you think about the MBT style of shoe. They made a big splash a few years ago. I always thought they looked ridiculous but was curious if they had the benefits they proclaimed. I recommend earth shoes to my patients looking for a flat shoe with some style that can be worn casually or to work. So far I’ve had positive feedback. Especially from the generation of patients who grew up wearing them when they were popular. They’re glad to hear I recommend them for their plantar fascitis as opposed to a traditional running shoe. As for the MBTs? Not a fan. I guess they have their place for someone who has severe arthritis, but in my opinion Id rather see someone wear a Hoka One One which is an oversized maximally cushioned running shoe with a 4mm drop. I can’t run in this shoe but it helps to wear around if you have any foot injury that needs some offloading. It’s almost like a cam walker shoe. Thanks!! First off, thank you so much for this informative post – I have never been to your site before and am looking forward to working through the rest of it! I am a 35 yr old female endurance runner and have been plagued by plantar fasciitis for the past year. I currently run in the Asics Nimbus (10mm drop) but my daily shoe is the Altra Intuition. I recently purchased Merrell Ascends (0 drop, but less cushion than Altra). Which would you recommend for daily wear, and does being on man-made surfaces most of the day matter (thinking cushion)? Also, what would you recommend as a transition shoe from traditional to more minimal? I just bought a new pair of Nimbus 🙂 But, I don’t want to “band-aid’ the problem and always deal with it. I’ve tried a lot of shoes/treatments/read several books to remedy the PF, and I just can’t seem to correct it. Thanks so much – I can’t believe you answer the comments! Thanks for visiting the site! I do my best to answer when I can. Sounds to me like your stuck in the cycle of injury which keeps being aggravated by your running. I don’t want to blame your shoes, but if you in a nimbus with a 10mm drop which would be even more significant in a female given a smaller foot size then men. The shorter the foot, the steeper the angle. This prevents normal motion of the foot and especially the ankle. If you inhibit ankle motion, you’ll get increased stress to either the foot or knee. You can still run with “good form” in a shoe like this but it’s hard to do. So here’s what you need to figure out: are you heel striking? taking long strides? running upright? landing with your foot reached out in front of your body? and your training patterns need to be reviewed. If you’re injured now, no tempo or speed runs. Only base training until you’re healed. I would advise reading through my site on running form etc, but more importantly go to http://www.goodformrunning.com. It’s a New Balance site and discusses running form. 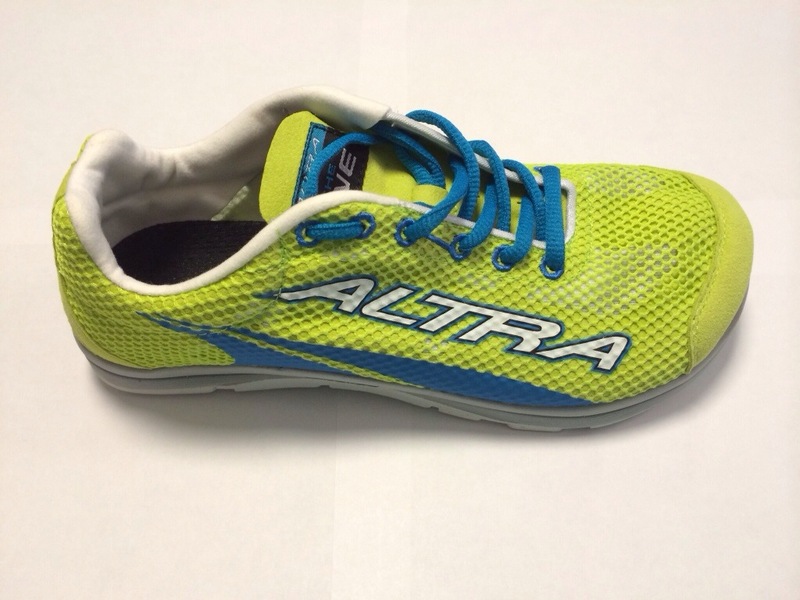 I’d advise wearing the Altra if you like it. It’s decent transition shoe with zero drop. I don’t always adhere to a “transition” shoe. Remember you need to transition slowly. 10% of your normal weekly or daily mileage and then gradually increase each week. First part of run in minimalist shoe, then remaining run in shoe you have been running in. Let me know if you need more help! you can find a lot of info on my site. There’s a search bar. 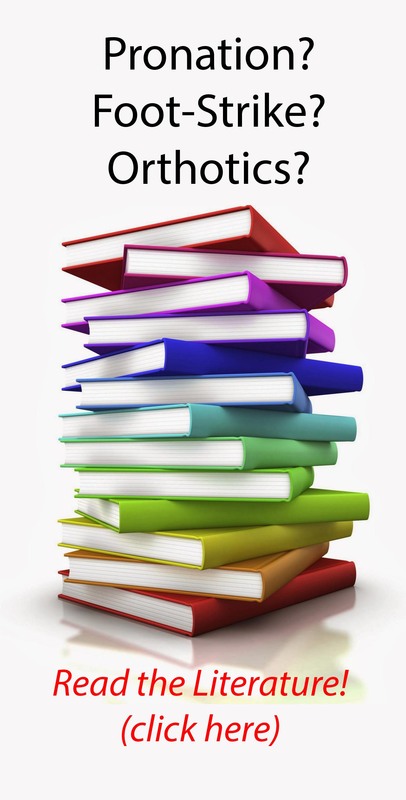 Also read on HR training. Its the best way to gauge your effort. Thanks for reading!! Thank you so much for the helpful response! I bought a HR monitor last week 🙂 thank you for the help! You are welcome!! Good luck! Have been diagnosed with peroneal tendonitis in my right foot. Have had this coming on and off for years now: running->pain->a couple of weeks or months off->start running again maybe a month or two->doing speed work->pain again. So it goes on and on. The longest rest period have been 6 months off running, doing RICE etc but with NO long term effect whatsoever. Have always used neutral cushioned shoes like Nike Pegasus, Asics Nimbus etc. recently I tried out a pair of Hoka Stinsons and even though they feel very comfortable they may have been aggrevating the injury. With them on, it feels like my ankle tries to compensate each stride (feels like I’m running on the outer part of the foot, supinating) as the cushioning gives away. I have tried with a lateral wedge under the heel but no – nothing have worked so far. As of now I’m completely off running for t least two weeks (usually do 30-50K/week) and have also received a cortisone shot, something I never had before. After that my plan is to get back slowly to my normal mileage but I realise that something has to change drastically! Now, what do you think, would a minimalist approach suit me and this kind of injury? It feels it is my last resort and one of the few things I haven’t tried yet (can’t come up with anything else). What I can tell you is the Hoka One One, although a comfortable sole, will without a doubt increase muscle activation to the lower extremity- especially to the peroneal tendons. This is due to simple physics. The higher your foot is from the ground, combined with the soft cushiony midsole, the more unstable your foot will be. The more unstable your foot, the harder the peroneous longus and brevis gave to work to keep it stable. Would I recommend a minimalist shoe? Probably less of a shoe then you have been describing. Even though the Nikes and ASICS are neutral, they still have a relatively high heel. You should also find out what your form is. Check out http://www.goodformrunning.com. Also no speed workouts until you are better. May need 4-6 months of base training. Hope this helps! Thank you for this article. I am an American woman, a proud “old hippie,” who has bucked fashion all my life. I will not wear a heel higher than a standard “real” cowboy boot (working cowboy boots, like roper boots, not fashion cowboy – “styled” boots). And I do not wear women’s male-fetish shoes, otherwise known as “high heels.” I own a beige and a cream pair of one-inch wedges that I wear for funerals, weddings and other dressy occasions. All of my other shoes are Birkenstocks. And I have worn Birks for decades. I thought I was being smart. I did not want to suffer with ruined feet like my poor mother, who wore the spiky heels demanded by the ’40s, ’50s and the Jackie-Kennedy era, while working on her feet all day in retail. But I also jogged for years, because I thought it was good for me, until several years ago when I developed knee issues, bunions and Morton’s toe. I was crushed to develop these problems, because I had scrupulously avoided dysfunctional women’s “fashion” shoes all my life. (My recently deceased husband hated heels on women, too). I refuse to have surgery. I wear Birks to work and my doctor has provided a note stating that sensible shoes are necessary. I am now further dismayed because it seems that the running shoes I wore, for casual wear and exercise, thinking they were “good” for my feet, probably contributed significantly to my current foot problems. And I do not wear women’s male-fetish shoes, otherwise known as “high heels.” I own a beige and a cream pair of one-inch wedges that I wear for funerals, weddings and other dressy occasions. All of my other shoes are Birkenstocks. And I have worn Birks for decades. I have a high arch. Thank you for this article. Within the last year, I began running with Vibram’s Five Fongers and have found them very comfortable. It does take some getting used to, but it is better than my old Mizuno’s. What are your thoughts on the Five Fingers? Thank you for this very informative article. I would like to know if sandals such as Dr. Scholl’s wooden clogs are good for the feet and posture. There is an elevation from the clogs themselves but the feet are more or less naturally flat as they are worn. I work in retail so I’m on my feet most of the day. I have flat feet and I think I’m developing plantar fascitis. I’ve read that shoes with a heel could help but I also have a bad lower back. Is there any shoe you could recommend? I am a 30 yr old male and have recently signed up for crossfit and would like to know which shoes you would recommend for crossfit? I have, for years, been experiencing pain in my right knee, but have, after being diagnosed with pronation of the right ankle and using inner soles made by a podiatric physician, not experienced any pain in my right knee for almost a year now. Would you suggest that I use the inner soles with the shoes that you suggest or not? I can’t really treat over the internet, but if your doing well with the inserts I would continue to use them. As for shoes, I would stick with a lower drop in the heel and whatever feels comfortable. Most of the cross fit shoes are very flexible and really are minimalist shoes. Combining an orthotic with this is counterintuitive. I would either go one direction or the other. Hope that helps! My son is nearly 5 and had a run in with a lawn mower last year which resulted in his right big toe being amputated. He walks and runs with a pidgeon toe which worries me with knee and ankle issues diwb the track we went to see a orthotics guy seemed he just wanted to sell us an arch. Very informative article. One problem I have is finding shoes for work. I’m on my feet 8 hours a day, suffer from foot, heel, knee & lower back pain daily. The floor at work is an unforgiving tile on concrete. While I can wear minimalist shoes (I like Merrell) at the gym and when I’m out & about on my days off, they just don’t cut it for me at work. I wore them once for a 5 hour shift and my feet were KILLING me! It’s getting to the point where I HATE to wear shoes. I’m going broke trying shoes that just don’t feel good after wearing them for more than a few hours. Interesting observations and interpretation of the impact heels have on the vertical (sagittal plane) posturing of the human body. For the past 45 years I have actively been involved in research (and clinical practice) in the area of pertubations in posture leading to chronic musculoskeletal pain. I have found that forward sagittal plane distortions (forward lean patterns) are a frequent finding in Ascending Postural Distortional Patterns, unrelated to shoe gear. I see these distortional patterns with patients standing barefooted and/or in shoes. I believe these patterns are frequently due to cerebellar dysfunctions resulting from distorted postural signals being generated by an hyperpronated foot. Thanks Dr. Nick for this information. It validates my habit of “minimalist” shoes (usually in the form of cheap sneakers and sandals) that are flat, maybe a 4mm heel at most. I started this habit ten years ago when a pair of running sneaks cut the back of my ankles when used. I decided to look for sneakers with less structure. The latest (years ago and still wear them) I found were a pair of pumas made is soft mesh material and the sole/foam-heel as thick as my flat sandals. Also have a pair of new balance the same in structure. I also felt encouraged to do the minimal style after reading about a Mexican tribe known for long distance running in specially made sandals. On top if that they mainly run on the ball of their feet, a running form (similar to what Dr. Nick described) as a natural way to cushioning the stress to the lower body. A couple quick questions: I have mostly flat feet and I know I’m in line to inherit bunioning-big toes. I sometimes add a Dr. Schols insert to a pair of ugg style boots. The bottom foam is very flat and hard like a floor, even with the mad-made cotton “wool” interior, how do you feel about inserts / do you use inserts of any kind? The literature is very unclear as to the true effect of an orthotic device on the foot in someone who does not have a true severe deformity. However, by simply wearing one, you can change the way your muscles fire and the way you walk which can certainly help you. Do you need them? Probably not. Can they help? Probably. My advice is if you like them, go ahead and wear them. Thanks for reading and feel free to ask more questions!!! I realize this article is a bit older but it comes up in my search for answers. I would love your opinion on this. I am mid-40’s female, 60 pounds overweight (working on it) and was always told I overpronate and need arch support. 1 year of plantar fasciitis, was wearing “stability” shoes with a 12mm drop plus heel lifts from the podiatrist. In summer was wearing Birkenstocks which felt better to my feet. Over time and with cortisone shots the pf resolved but Achilles tendon pain is constant. I am doing stretches and walking. I do not jog or run. The shoe store said I should wear a running shoe with a 4mm drop and no heel lift (Asics 33-M). They do feel very comfortable (have only worn them around the house a bit so far) but the podiatrist says no, I have to wear the higher 12mm with lifts or my pf will return. So should I go ahead and keep wearing the Asics gradually? Or go back to 12mm stability shoes? I just want the pain to go away so I can walk. I can’t really treat over an email but there is evidence that points toward wearing shoes with a heel. Yes it can decrease the tension in the Achilles tendon and make it feel better, but this is only for a short period of time. You would need to gradually transition out of the shoes with a heel into a flat shoe.I usually recommend a zero drop shoe in pace of the planter fasciitis to put the foot In a more anatomically l correct position. I think your plan of thinking is correct and I would try wearing the flatter more flexible shoes. Try searching my blog for more treatment options for plantar fasciitis that demonstrate strengthening exercises. I see patients daily you’re not responding to orthotics and stability running shoes with planner fasciitis. That in itself is not a treatment options. It can’t help, but there’s no direct evidence linking it. Hi Dr. Nick, I have had achilles tendinopathy for the last 5 years or so and have tried everything to find the root cause and ease the pain. I’m currently wearing 4mm drop running shoes but the last pair of the shoes I bought/have worn for ~3 years is very uncomfortable. I have good days and bad days. I really think my problem is lack of foot/calf strength. I feel like I still haven’t found the right running shoe. Would it be possible to make an appointment with you? Sure. Where are you located? That would be awesome! I’m in Pittsburgh, PA.